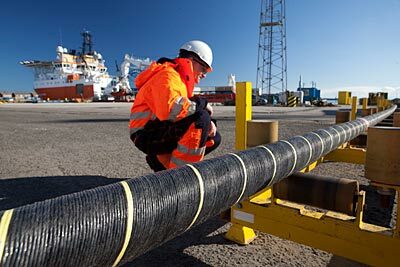 JDR, supplier of subsea cables and umbilicals for the global offshore energy industry, has expanded its presence in West Africa through a partnership agreement with Proserv Instrumentation Nigeria Ltd. Under the strategic alliance, JDR will establish a service and maintenance base in Proserv’s operations facility in Port Harcourt, Nigeria. Together, the companies will offer combined subsea solutions and local content support to the West African market. JDR’s offering will include maintenance and offshore installation services, product termination and testing and technical training. The partnership follows the appointment of business development manager, Tai Fadipe-Davids last year, to lead JDR’s strategic sales and marketing activities in the region. In recent years, JDR has supplied complex intervention, workover control systems (IWOCS) to major developments including Egina, Kaombo and Moho Nord in Nigeria, Angola and Congo respectively. JDR also delivered a hybrid steel umbilical to the ABO 12 field offshore Nigeria, and has since invested in a technical test and repair container for umbilical and reeler management.